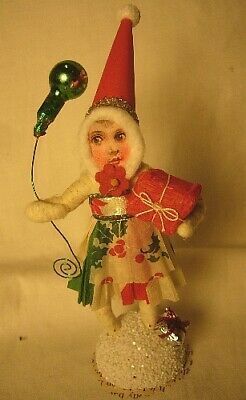 Vintage Inspired Spun Cotton Christmas Girl no. 83T by Vintage by Crystal. It measures 5.5 inches and is in perfect condition.